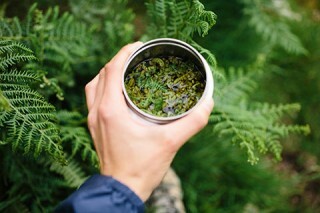 The second in a seasonal series of foraging walks created in partnership with Sidetracked magazine, the summer collection focuses on Dartmoor and its landscape of stunning views. Recommended by International Mountain Leader and expedition chef, Kieran Creevy (@kierancreevy), the collection includes a range of walks of varying lengths and difficulty levels. Each route has been handpicked by Kieran for its wild edibles – from flowers to berries and herbs. 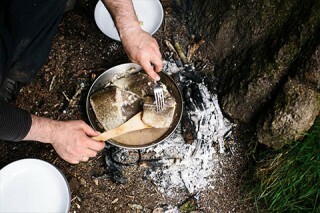 Check out our spring foraging collection, which took Kieran and his team to Wales. 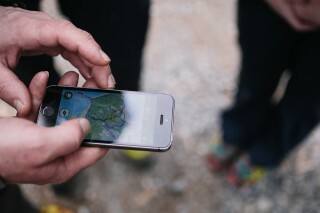 See the Wales foraging collection here. Season the fish fillets with salt and a little pepper. Heat the pan to medium/hot. Add the spices and toast until fragrant. Add 1 tbsp sugar and sufficient cider vinegar to cover the pickling ingredients. Place the pickling ingredients in a food canister and pour over the liquid. Cover and leave to pickle. Clean the pan, return to the heat and add the gooseberries, 2 tbsp sugar and 2 tbsp water. Cook until the gooseberries split, taste and add extra sugar if required. NB don't make the compote too sweet as it will interfere with the overall dish. You want to retain some tartness. When compote is ready, place in an insulated food canister. Clean the pan, return to the heat and melt a generous knob of butter. Place the fish skin side down and cook for 2-3 minutes. Flip over, cook until the centre of the fillets are still translucent. Remove from the pan to a dish, cover with a square of tinfoil or parchment paper and leave to rest for 2 minutes. While the fish is resting, toast the hazelnuts in a dry pan, when toasted, pour into a container or bowl and sprinkle over 1 tbsp of caster sugar. Spoon some gooseberry compote onto each dish, place the cod fillets on top and ppoon over the brown butter sauce. Add the sowthistle salad leaves, pickle and hazelnuts to the plates and serve. No person shall light a fire on the access land, or place or throw or let fall a lighted match or any other thing so as to be likely to cause a fire. This byelaw shall not prevent the lighting or use in such a manner as not to cause danger of or damage by fire of a properly constructed camping stove or cooker.” More information can be found here. Please note that most land in the UK is under private ownership or owned by a state body. Ask permission before foraging on someone else’s property. Familiarise yourself with the law regarding wild plants as some species are protected due to being rare, fragile, under threat or form a vital part of the ecosystem. 3. A byelaw prohibits the lighting of open fires within Dartmoor National Park. However, properly constructed camping stoves or cookers are allowed to be lit within the park. Some sources advise against eating fiddlehead ferns. We would advise that pregnant women and nursing mothers abstain from ingesting ferns. However, this is a wild edible that is eaten year round in Japan, and with the right preparation and occasional use it is unlikely to pose any risk. 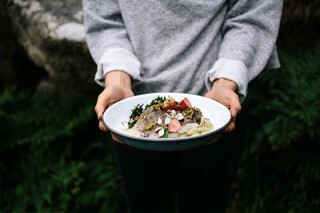 For more information check out Miles Irving’s The Forager Handbook or click here.